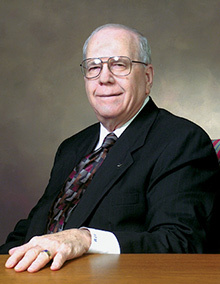 Roy F. Mitte was raised in Brownsville, Texas, and attended Southwest Texas State Teachers College on a partial athletic scholarship. While at the university, he met Joann Cole, an elementary education major from Bertram, Texas. The two were married during their senior year, and Roy graduated in 1953 with a Bachelor of Science degree in Education with a major in Physical Education, a minor in Biology, and a certification in secondary education. Immediately after graduation, Roy enlisted in the Army and served in Korea. Upon his discharge, he began his career as a teacher of biology and history at Lampasas High School. He also coached basketball and became the winningest basketball coach in Lampasas High School history. He completed his Master’s degree in Education in 1958 with a major in Physical Education and a minor in Administration in Education. Making ends meet financially on a coach's modest salary was not easy, so Roy decided to explore more lucrative opportunities. In 1959, he left coaching and began selling insurance for Aetna Life and Casualty Company. He and his family later moved to Norfolk, Virginia, where he joined Lincoln National Life Insurance Company. Over a ten-year span, he built his agency into one of the most successful in the company’s history. In 1972, he started his own insurance company, FIC Insurance Group. After four years and one of the most successful acquisition streaks in the industry, Roy Mitte took Financial Industries Corporation public. As chairman of the board, president and CEO of the company, he guided FIC and its affiliates to become one of the most innovative and resourceful leaders in the insurance industry. As president of the Mitte Foundation, Roy was instrumental in structuring a nationally recognized scholarship program for the business schools at Indiana University, Ohio State University, Pennsylvania State University and Texas A&M University. 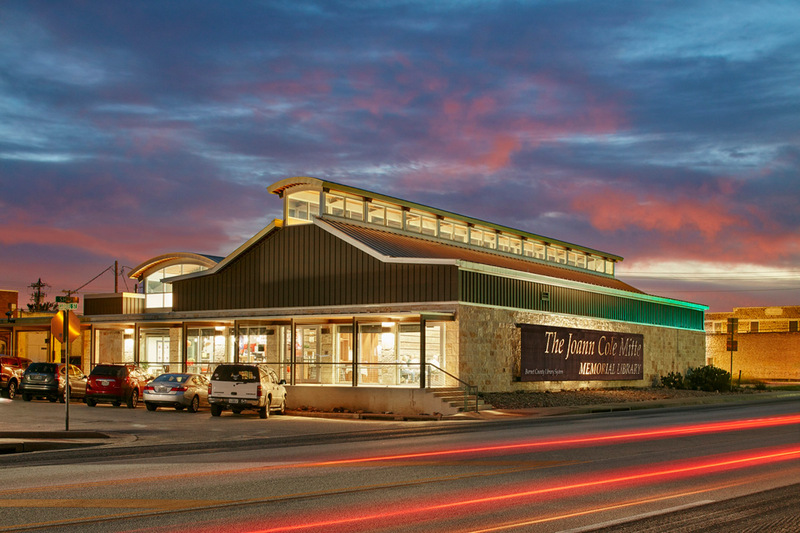 His support of Junior Achievement of Central Texas helped launch several new initiatives and expand rural programs, and his desire to give back to his home town of Brownsville helped create the Mitte Cultural District. The Mitte Cultural District incorporated funding for renovations to the Dean Porter Park area, construction of a Civic Pavilion, and establishment of the Mitte Cultural Education Center, which houses the Children’s Museum of Brownsville and the Costumes of the Americas Museum. In 1982, Southwest Texas State University honored Roy with its Distinguished Alumnus Award, and on December 17, 2005, Texas State University-San Marcos conferred upon him and Joann Cole Mitte honorary doctor of humane letters degrees, honoris causa. 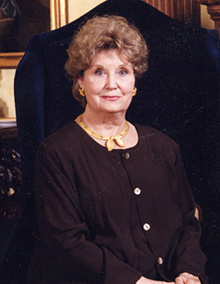 Formerly Miss Joann Cole, daughter of Mr. and Mrs. W.B. Cole of Bertram, Texas, Joann Mitte graduated from Bertram High School in 1949 where she was elected as class secretary throughout her high school years, was as a leader in Girl Scout, participated in the choral club and on the yearbook staff, served as a cheerleader for the Panther football team, played softball, and was selected as football sweetheart her junior year and Miss B.H.S. her senior year. Upon graduation, she went on to attend Southwest Texas State Teachers College, where she was president of her class, selected Queen of Frontier Days and a member of both the Philosophian Literary Society and Kappa Pi Fraternity. She met Roy F. Mitte, also a student at Southwest Texas, and they married during her senior year. She graduated in 1953 with a Bachelor of Science degree in Education with a major in Elementary Education and a minor in Art. After graduation, Joann accepted a position as an art instructor at the Baptist Military Academy. She also taught public school in El Paso, Killeen and Lampasas during the early years of her marriage and while her husband was serving in the armed forces in Korea. Joann became the driving force behind the Mitte Foundation’s community and cultural interests. As executive vice president of the Foundation, she structured a giving program focused primarily on assisting the elderly and aging, the arts, and educational services for disabled youth. 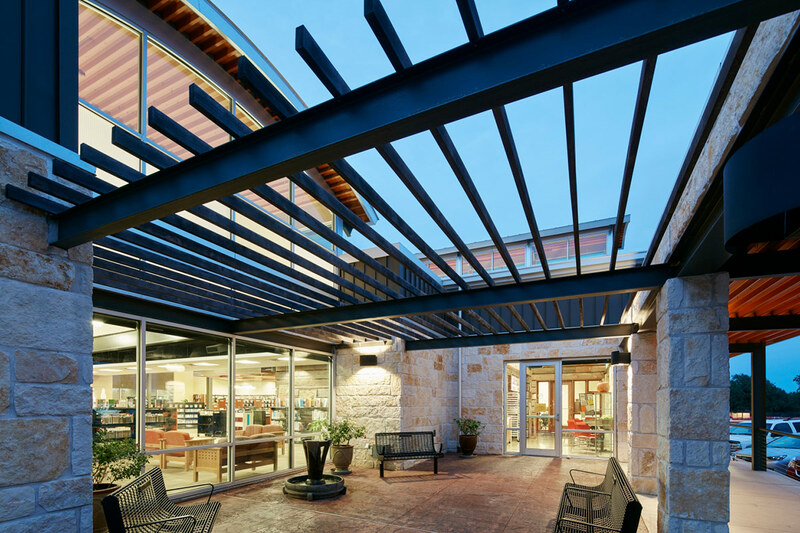 Her leadership helped launch the ArtesAmericas program at the University of Texas and fund the Lyons Gardens complex for Family Eldercare in Austin, Texas. In 1998, Southwest Texas State University honored Joann with its Distinguished Alumnus Award, and on December 17, 2005, Texas State University-San Marcos conferred upon her and Roy Mitte honorary doctor of humane letters degrees, honoris causa. 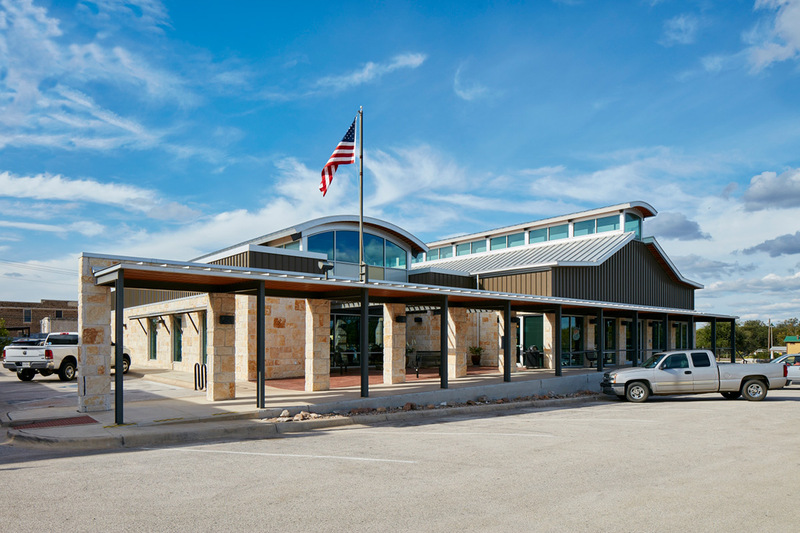 In 2009, the Mitte Foundation committed $2M to the Friends of the Bertram Free Library to build a state of the art library in Joann Mitte’s hometown of Bertram, Texas; the service area, which encompasses both eastern Burnet County and western Williamson County, includes the towns of Bertram, Briggs, Oatmeal, Liberty Hill, and the boundaries of Georgetown—over 2,100 square miles. 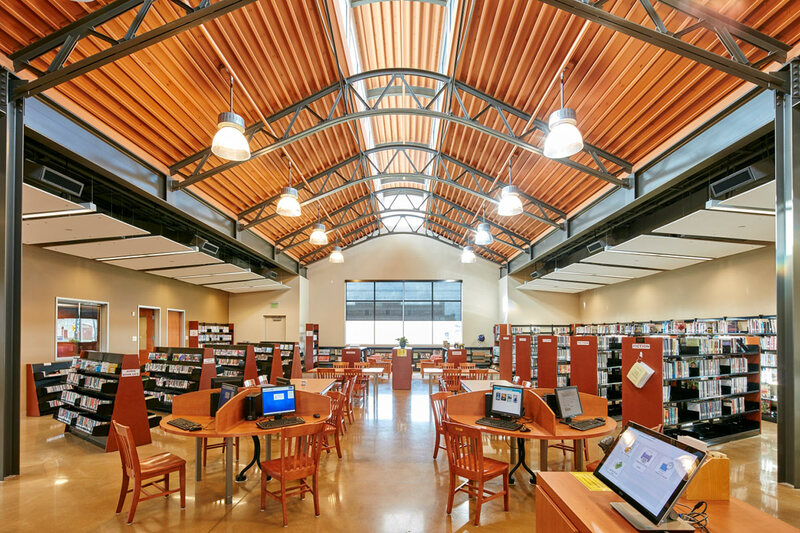 Named the Joann Cole Mitte Memorial Library in her honor, the new building opened in 2011 with more than three times the floor space of the former library, providing abundant areas for activities for all ages. Serving over 1,700 patrons a month, on average, features include a large children’s area to ensure that no children will be turned away from summer reading programs because of overcrowding, electronic self-checking equipment, a bank of high-speed Internet computer terminals, a conference facility, a café, and a courtyard.